Instagram announced earlier this month that it was beta-testing the addition of video to carousel ads, and the feature was made available to all advertisers Friday. Carousel ads on Instagram can contain up to five elements—videos and photos—with videos capped at 60 seconds. Instagram said in an Instagram for Business blog post announcing the launch that video carousel ads can be run seamlessly across Instagram and Facebook, and they can be created in Facebook’s Ads Manager, Power Editor or marketing application-programming interface. There are many ways to tell your story on Instagram. And now, for the first time, you have the ability to share a combination of static photos and video with carousel ads. The swipeable ad format lets businesses showcase three to five videos or photos within the same ad unit. That means you can use any combination of videos or photos you’d like. Advertisers also have full control of the order of the content, so photos and videos will appear in a sequence you choose. For businesses wanting to tell a more sequenced story, placing creative in a specific order will work to your advantage. As you can see, businesses are reaching customers with more immersive content through video carousel ads. Whether you run a full video carousel ad, or a mix of video and photo, adding video to your carousel ads gives customers a richer understanding of your business, product or app. Video carousel ads are also available on Facebook, so you can seamlessly run your ads across both platforms to reach a wider audience more efficiently. 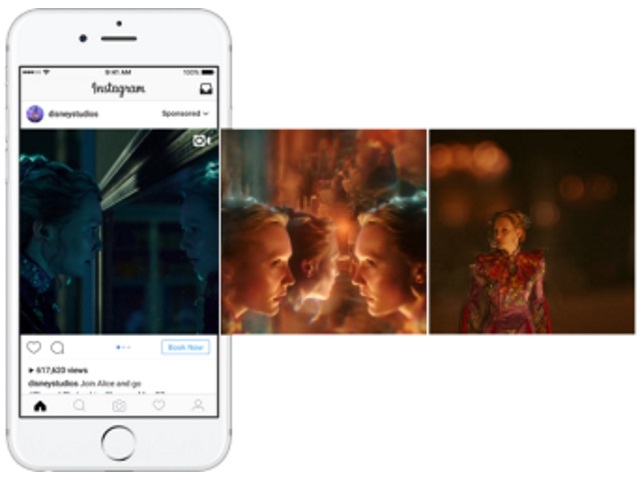 Readers: What do you think of the addition of video to Instagram carousel ads?